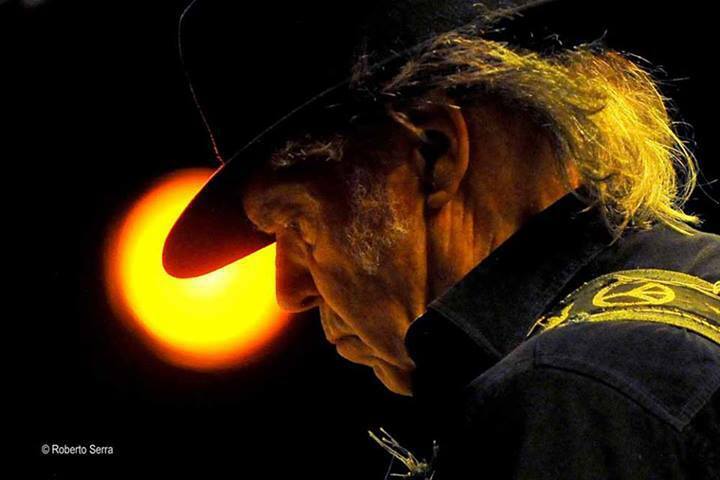 Neil Young News: Comment of the Moment: It's an Angry World So Where Do We Go Now Neil Young? Comment of the Moment: It's an Angry World So Where Do We Go Now Neil Young? Much, much chatter and debate over the cancelation of the remaining Neil Young & Crazy Horse concert dates. So it's a bunch of drama. Nobody's right when everybody's wrong. Neil wants what he wants. A fan wants what he wants and right now nobody is getting what they want. Thanks Raincheck. A timely handle we might add. We still say it's a lucky day to be a Neil Young fan. Who knows, there may be plans to reschedule the shows at later date. But early to be saying what was the wrong (or right) thing to do. Maybe Neil takes a well-deserved break and starts work on another album of new material! Neil Young et le Horse nous ont beaucoup donné... Et nous fans ? Toujours impatients d'avoir plus, encore et encore. Faisons leur confiance et souhaitons le meilleur pour chacun d'entre eux. I was more than disappointed at the cancellation of this last leg of the tour, but stuff happens. We had planned a vacation around the tour, with tickets, hotels, pet sitters, the works. I'm bothering all you readers here with my only real "anger", and that is with the organizers of the Greenbelt Harvest Picnic near Hamilton, ON. Every other show that was cancelled has offered a full refund. Hotels (except one) offered full refunds. However, the Greenbelt people will only refund $40 of the $155.50 ticket price, saying that their festival without NY&CH is still great. No disrespect to Lanois, Peggy, and Emmylou, but to expect people to travel to Dundas, ON from afar - I'm from near Philly - are they nuts? I'm sure that we are not alone. Who else feels the same way? I'd be ok with them keeping the $40 and refunding the rest. That would seem at least reasonable. I contacted NY Ticketing/Concertmaps, where I bought the tickets, and they were more than sympathetic, with several messages urging me to pressure the Harvest Picnic promoters. They mentioned that all the other shows had offered full refunds. Here is one of their e-mails, and I encourage anyone else in our situation to send a message to the Greenbelt people, as I have done several times. Let them know that ripping people off like this is ultimately bad business, and will not bode well for attracting serious concertgoers and major acts in the future. We are is very sorry for the inconvenience this has caused. Unfortunately, we cannot offer a full refund. Neil Young Ticketing can only give a $40 partial refund per ticket. It is up to the promoter, Jean Paul, how much the Greenbelt Harvest Picnic wants to give back. Neil Young Ticketing has to follow the rules and decisions of the promoter. As our terms state, in the event of an artist lineup change refund limitations may be set by the venue, promoter, team, band or artist. We encourage you to contact the promoter Jean Paul, September Seventh Entertainment Ltd, and Greenbelt Harvest Picnic. It is up to their discretion how much of a refund we can issue and they are unwilling to give a full refund at the moment. We will gladly issue a full refund if Jean Paul, September Seventh Entertainment Ltd, and Greenbelt Harvest Picnic decide that the Greenbelt Harvest Picnic is willing to give a full refund. We cannot issue a full refund unless this is the case. You can contact him via the website at the following website: http://www.harvestpicnic.ca/contact-greenbelt-harvest-picnic.html or September Seventh Entertainment Ltd at http://septemberseventh.ca/. Additionally, Neil Young Ticketing sold tickets to the Greenbelt Harvest Picnic event not solely a Neil Young & Crazy Horse performance or even just a music event. In addition to the musical performances, there will be visual art, craft vendors, other community groups, and over 115 vendors including food vendors, farmers, artists and merchandisers. Your purchase was a ticket for the entire event listed as it is stated on your order confirmation and as was stated on the ticketing page when you purchased the ticket for the event. As stated in our terms, on our ticketing page, and on the Greenbelt Harvest Picnic site all event details are subject to change. We understand you purchased via a Neil Young page and we understand your frustration, but this was a presale ticket for the Greenbelt Harvest Picnic event not just a Neil Young performance. We are sorry that we cannot assist you further at the moment. We must abide by the limitations that are set by the promoter and Greenbelt Harvest Picnic. Just saw on Neil's tour page the dates Sep.19, Oct.18, Nov.17 and Dec.17 have full moon symbols beside them. Don't Neil and CH like recording on full moons? I'm hoping for a 2014 album and tour! !